My 10 Favorite Online Shops for Home Decor! This has been quite the week. I am so excited to be posting my favorite home decor shops to shop right now! Decor and accessories that make up most of our spaces dont' just appear out of nowhere, right? !....obviously, but right now a lot of my current home decor are things I've collected over the years, vintage, antique, and regular store bought but also as of lately some of it has come from a variety of shops that have been stocking on IG, or found through other blogs. I'm not only a fan of farmhouse decor but I've been a fan of all things vintage, Mediterranean, coastal, cottage, Spanish, and industrial! Yes, you heard right, because I've been a fan of home design and style since I can remember. As a teen I even collected home decor magazines, go figure. I guess I could have become a great interior designer, my skills now are a bit rusty though. I love to shop Ikea, Homegoods, World Market, Michaels, Target, and the list goes on, as much as the next girl because they're affordable and convenient! But a lot of times I don't find what I intended or hoped to find or too much of the same stuff. That's why I go searching the Antique stores, but even then that requires a few hours of looking and trying to find what you'd like. Believe me I will definitely do the leg work when I'm up for it but not always have the time. The alternative is to shop online. I spend a lot of time on a computer for work and blogging so for me most times its just easier to sit on my couch while sippin' on my Saturday morning coffee before our day officially starts and just browse until I stumble upon the things I like. I especially love shopping small shops via Etsy because most pieces are unique and handmade. Plus I'm happy to support small handmade or vintage shops at the same time. Usually at the begining of the year is when there tends to be tons of promo codes to get you some free shipping too! Hello! Don't even have to waste gas or get charged for delivery! Etsy sellers usually have a coupon code for you if you're a first time shopper to their shop, and all you have to do is ask. 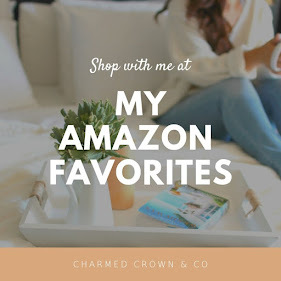 Here's the list of my current favorites for you to browse . . .
No, I couldn't leave that one out! I know a lot of you are fans just like me, it is a bit pricey but some items are priced reasonably or on sale. I wish I could buy it all too, trust me!